“MacGruber,” the first feature film adapted from a “Saturday Night Live” sketch in a decade, is as dumb as you think and much funnier than you could’ve reasonably hoped for. Expectations were understandably low for “MacGruber,” Will Forte's one-note character starring in a series of one-note skits. How on Earth could they possibly make it funny for 90 minutes? The answer, quite simply, was that they didn’t even bother trying. Rather than repeatedly subjecting us to the same bit over and over, they wrote a full story, saving the punchline for the end where it belongs. The film opens on a desolate Siberian plain littered by dead bodies and burning vehicles. An unsuspecting viewer could reasonably think they were watching any action movie, rather than a total goof on the genre, with Forte and Kristen Wiig leading the fight to save the country from a nuclear threat. Like “Cop Out” (currently the worst film we’ve seen this year) and “Hot Tub Time Machine” (another pleasant surprise), “MacGruber” pays homage to the ‘80s, with “MacGyver” of course being the primary inspiration, and the Patrick Swayze opus “Road House” a close second*. 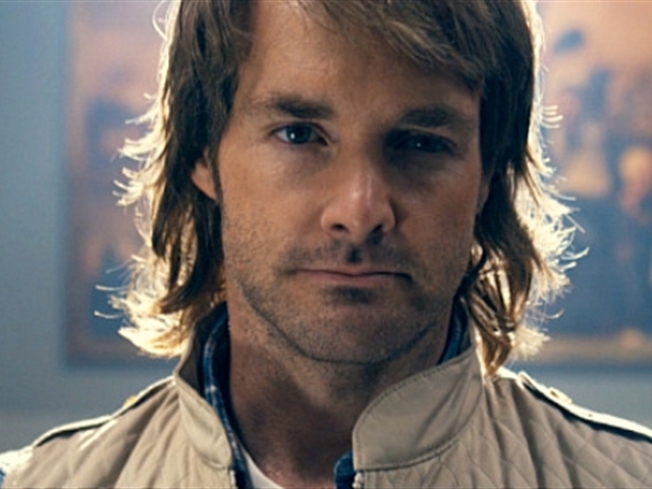 Like the former, “MacGruber” is quite violent, but where “Cop Out” tried to go from funny to violent in a single edit, the violence in “MacGruber” is part of the joke – it’s utterly cartoonish and appropriately devoid of drama. Like “Hot Tub,” rather than rubbing your face in the ‘80s references, “McGruber” keeps them mostly on the edges of the frame, letting them amuse you at your leisure. The casting of Powers Booth and Ryan Phillippe both give the film a certain weight – one hesitates to use a word like gravitas while discussing a film like this – as both men come to the project without reputations as funnymen. You’re inclined to take them at least somewhat seriously, allowing Forte and Wiig to go all out for the duration, without fear of running the film off the rails. Val Kilmer as supervillain Dieter Von Cunth rides the line between the two pairs perfectly, bringing to the film the same subtle absurdity he brought to “Kiss Kiss Bang Bang” in 2005. There are a couple of missteps, to be sure. Some of the jokes are taken too far (though you may find yourself laughing against your better judgment) and some are simply not funny, but the duds are rare enough that they don’t drag the movie down. *When TBS ripped the throat-ripping sceen from “Road House,” they ripped out the film’s moral core. The film really has no meaning unless you understand fully how savage a predilection for violence Dalton once possessed.